Add Bodyguard as a function to your Security Providers Licence. For those wanting to add Bodyguard as a function to their current Security Providers Licence. Interested in up-skilling in the security industry? Do you have a passion for protection? Then bodyguarding is for you! Learn how to work with a client and provide all their security needs, and secure yourself an exciting career! If you have never held a Security Providers Licence, please see our Certificate II in Security Operations course. A Statement of Attainment (partial Certificate III in Security Operations) will be awarded upon successful completion of this skill-set. Note; driving offences (e.g. speeding, drink driving, etc.) are not normally disqualifying offences. Be an Australian Citizen, Permanent Resident or hold an appropriate Visa to work within the Security Industry in Queensland. Participants must display sufficient language, literacy and numeracy (LLN) skills to read and understand organisational policies and procedures, write reports and communicate with others in plain English. Prior to enrolment participants may choose to undertake an LLN assessment. Find out your LLN level now! This course is delivered face-to-face in one day supported by a self-paced assessment workbook. Asset College does not offer Recognition of Prior Learning (RPL) on courses with industry licensing outcomes. Course is only available at our QLD offices. Please contact us for information about courses in other states. Course fees may vary depending on delivery location of this course. Security Providers licence applications are administered by the Queensland Government Office of Fair Trading. The process for preparing and submitting the licence application will be covered on the course. Refer to the Office of Fair Trading website for further information and current licence application fees. 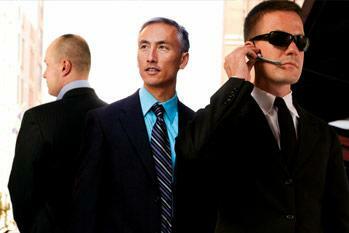 The Security Providers Act 1993 requires individuals who hold the Bodyguard licence function to undertake refresher training every three years. All security providers are required to maintain a current First Aid certificate. If you’re still undecided about undertaking a career in security, you can register for a free career information session at either our North Lakes or Spring Hill office! These are complimentary and are run every week! Want to reserve a spot? Book now online. You can also email us or phone us on 1300 731 602. Book now by selecting one of the following locations to view upcoming course dates and prices. Eventbrite will open in a new window when you select your location to complete your booking.